Can you believe it's only been a year since Alex Gonzaga started vlogging and she already received a Gold Creator Award from YouTube? 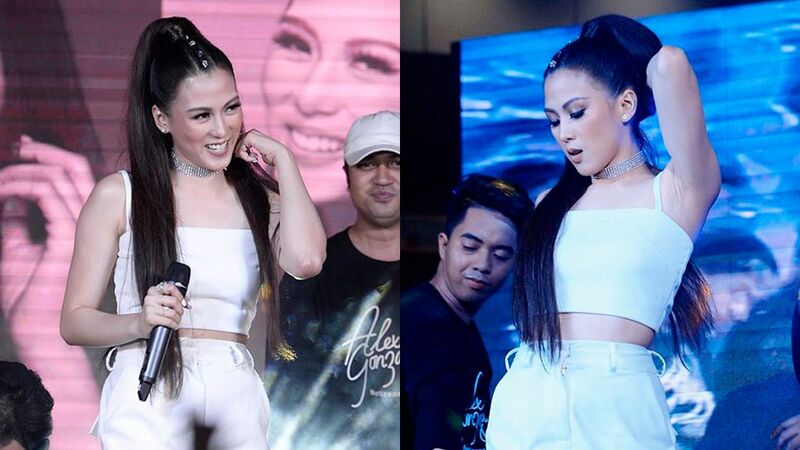 Alex held her anniversary concert at UP Town Center on August 11, despite heavy rains and weather that refused to cooperate. She recently posted highlights from the event on her newest vlog which features a "fast talk" session with her dad, games with fans, and a "surprise" appearance from her boyfriend Mikee Morada. There were loud cheers from the audience when she brought Mommy Pinty on-stage (Alex called them "The Pinsters" LOL)! She even did a live bag raid with sister Toni Gonzaga, amid their mom's protests. We see the audience in raincoats, holding umbrellas, and not minding the showers at all. There's also a compilation of messages from fans (awww). "Mamayang gabi iiyak ako kasi nagpapasalamat talaga ako sa lahat ng pumunta," an emotional Alex tells the camera. You do you, girl! We're looking forward to more quirky moments from your channel!